Dr Robert Day's research interests are in: theoretical soil mechanics, numerical modelling, soil structure interaction, retaining walls, limit state design for geotechnical engineering, and reuse of fine grained dredged sediment. 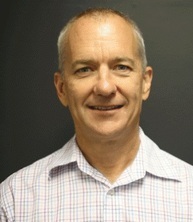 Dr Day received his PhD from the University of London in 1990. Full-scale load testing of thin wall corrugated iron culverts with minimal cover is being conducted in conjunction with Queensland Main Roads, Australian Standards, and culvert manufacturers. The results of the research project will be used in development of new Australian Standards. Fine-grained material obtained from regular maintenance dredging of Queensland ports contains contaminates and is not readily used or disposed. A CRC Tourism project is investigating ways to economically clean and modify the material properties with the aim of producing a useful engineering product. With colleagues at Imperial College of Science Technology and Medicine, we are developing a new general isoparametric shell element for use in three-dimensional finite element analysis of soil-structural interaction. The element has important application in retaining walls, tunnel linings and building settlement. This project investigates the use of neural networks for assisting the interpretation of cone penetrometer test results. Neural networks for determining soil type and soil classification will improve the reliability of site investigations based on CPT data. Wong, L.T., Morris, P.H. and Day, R.A. (2007). Queensland dredged sediment: An alternative source of material for bricks. In: Lee, K., Aun, O.T., Hui, T.W. and Fatt, C.S., Proceedings of the Sixteenth Southeast Asian Geotechnical Conference. 16th South-East Asian Geotechnical Conference, Malaysia, (417-420). 8-11 May 2007. The influence of external forces on the earth pressure on retaining walls at design limit states. Pritchard, R., Day, R. A., Dux, P. F. and Wong, K. Y. (2006) Response to live loading of steel helical culverts with low cover. The Structural Engineer, 84 1: 21-24. Day, R. A. and Potts, D. M. (2000) Discussion: Observations on the computation of the bearing capacity factor Ny by finite elements. Geotechnique, 50 3: 301-303. Pritchard, R, Day, R A, Dux, P F and Wong, K Y (2006). Numerical modelling of helical culverts during backfilling. In: Austroads 6th Bridge Conference: Bridging the Gap. Austroads 6th Bridge Conference: Bridging the Gap, Perth, Western Australia, (1-10). 12-15 September 2006. Pritchard, R, Day, R A, Dux, P F and Wong, K Y (2006). Response of helical steel culverts during backfilling in a full scale test program. In: Proceedings of 7th International Conference on Short and Medium Span Bridges. Proceedings of 7th International Conference on Short and Medium Span Bridges, Montreal, Canada, (1-10). 23-25 August 2006. Pritchard, R, Day, R. A., Dux, P. F. and Wong, K.Y. (2004). Comparison of live loads on instrumented 3000 mm diameter sinusoidal and ribbed profile helical culverts. In: ASEAN Australian Engineering Congress 2004. ASEAN Australian Engineering Congress 2004, Sabah, Malyasia, (1-8). 26-28 May 2004. Wong, L. T., Morris, P. H. and Day, R. A. (2004). Conversion of dredged marine sediments to silty sand and gravel. In: H A Faisal, M I Pinto, I Jefferson and S H Chen, Proceedings of the 5th International Conference on Ground Improvement Techniques. Proceedings of the 5th International Conference on Ground Improvement Techniques, Singapore, (373-382). 22-23 March 2004. Pritchard, R., Day, R. A., Dux, P. F. and Wong, K. Y. (2004). Live loads on an instrumented sinusoidal profile helical culvert. In: ASEAN Australian Engineering Congress 2004. ASEAN Australian Engineering Congress 2004, Sabah, Malyasia, (1-8). 26-28 May 2004. Pritchard, R, Day, R. A. and Dux, P. F. (2004). Measured live loads on an instrumented sinusoidal profile helical culvert. In: Austroads 5th Bridge Conference Bridges Another dimension. Austroads 5th Bridge Conference Bridges Another, Tasmania, Australia, (1-12). 19-21 May 2004. Wong, L. T., Morris, P. H. and Day, R. A. (2004). Treatment of dredged marine sediment prior to on-land disposal. In: H A Faisal, M I Pinto, I Jefferson and S H Chew, Proceedings of the 5th International Conference on Ground Improvement Techniques. Proceedings of the 5th International Conference on Ground Improvement Techniques, Singapore, (363-372). 22-23 March 2004. Wong, L. T., Morris, P. H. and Day, R. A. (2004). Weathering of heat modified dredged marine and riverine sediments. In: H A Faisal, M I Pinto, I Jefferson and S H Chen, Proceedings of 5th International Conference on Ground Improvement Techniques. Proceedings of 5th International Conference on Ground Improvement Techniques, Singapore, (356-362). 22-23 March 2004. Hu, X., Day, R. A. and Dux, P. F. (2001). Beam of elastic foundation and mico-fiber bending. In: Yao Zhang, Proceedings of 13th International Conference on Composite Materials. 13th International Conference on Composite Materials, Beijing, China, (1-10). June 25-29 2001. Day, R. A., Hight, D.W. and Potts, D. M. (2001). Coupled pore pressure and stability analysis of embankment dam construction. In: S Valliappan and N Khalili, Proceedings of the First Asian-Pacific Congress on Computational Mechanics, Sydney NSW. First Asian-Pacific Congress on Computational Mechanics, Sydney, Australia, (339-344). 20-23 November 2001. Gillies, A.D.S., Pearson, D., Day, R. A., Dux, P. F. and Green, A R (2001). Testing and usage of ventilation control devices within the Australian Coal Mining Industry. In: Stanislaw Wasilewski, 7th Int Mine Ventilation Congress. Seventh International Mine Ventilation Congress, Cracow, Poland, (176-182). 17-21 June 2001. Asche, H., Day, R. A., Doherty, J. E. and Peglas, T.W. (2001). Tunneling on the south east transit project. In: William Hansmire and I Michael Gowring, 2001 Proceedings Rapid Excavation and Tunneling Conference. Rapid Excavation and Tunneling, San Diago, USA, (513-530). June 11-13 2001. Asche, H., Day, R. A. and Dogherty, J. (2000). Model parameters - how to avoid them. In: GeoEng 2000 - International conference on geotechnical & geological engineering.. GeoEng 2000, Melbourne, Australia, (). 19-24 November 2000. Pearson, D., Gillies, A. D. S., Day, R. A., Dux, P. F. and Green, T. (2000). New approaches to the design and evaluation of mine stoppings and seals. In: Proceedings of Queensland Mining Industry Health and Safety Conference 2000 - A new era in mine health and safety management. Queensland Mining Industry Health & Safety Conference 2000, Townsville, Qld., Australia, (307-326). 27-30 August, 2000. Note for students: Dr Robert Day is not currently available to take on new students.